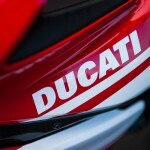 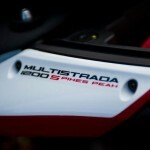 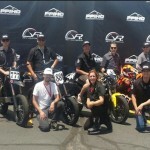 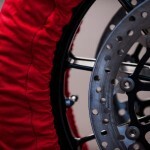 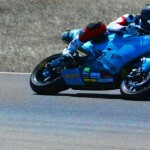 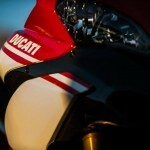 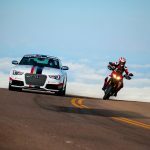 Ducati and its new owner Audi announced a new contest ahead of the 2012 Pikes Peak International Hill Climb. 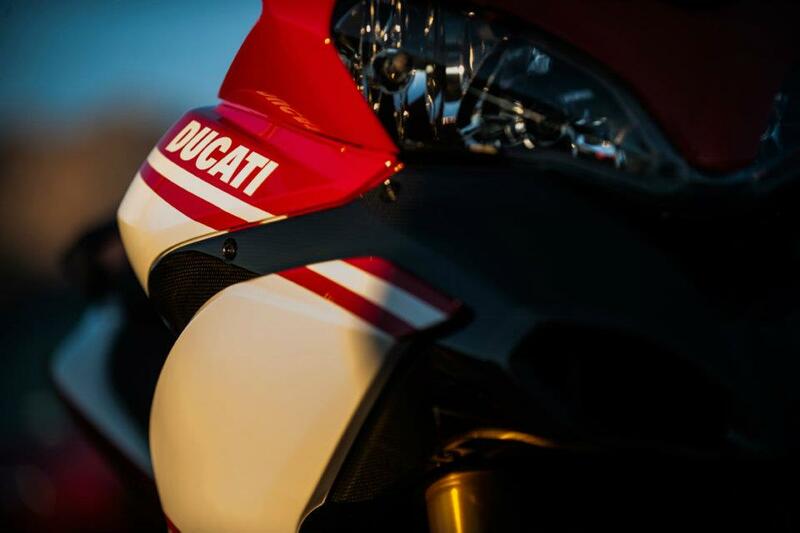 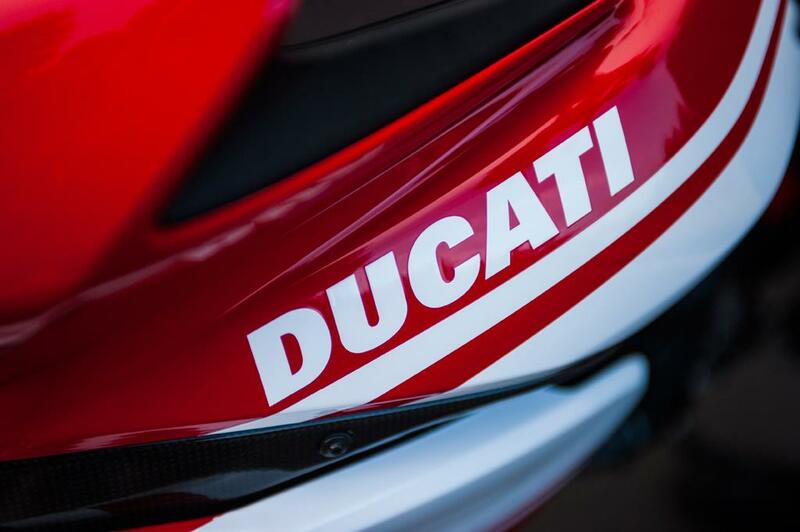 The two brands used the rescheduled competition as one of their first collaborative promotional opportunities since Audi acquired Ducati earlier this year. 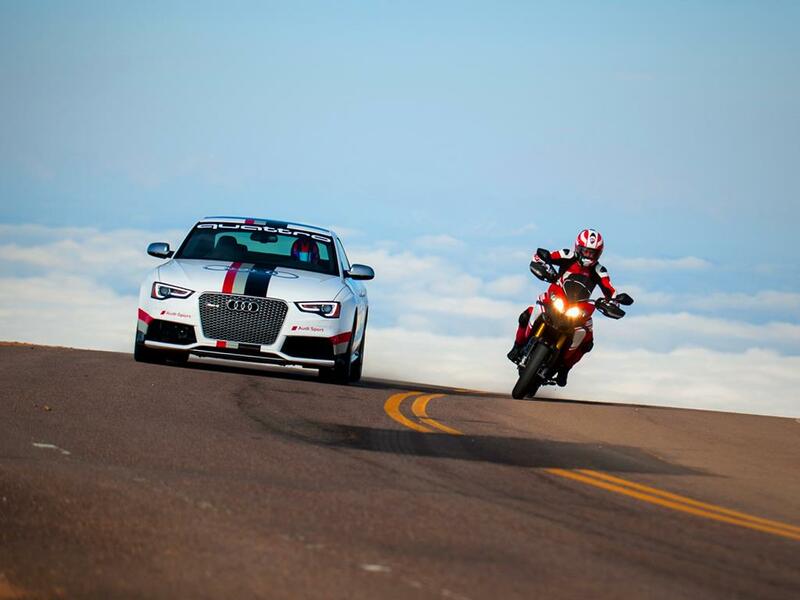 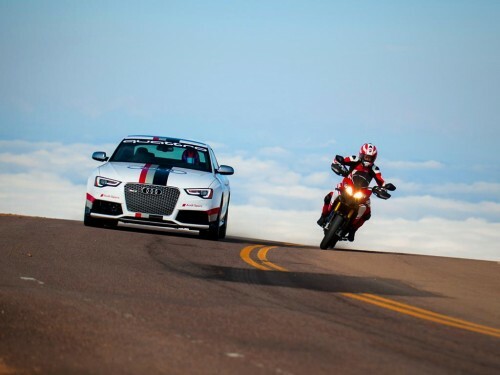 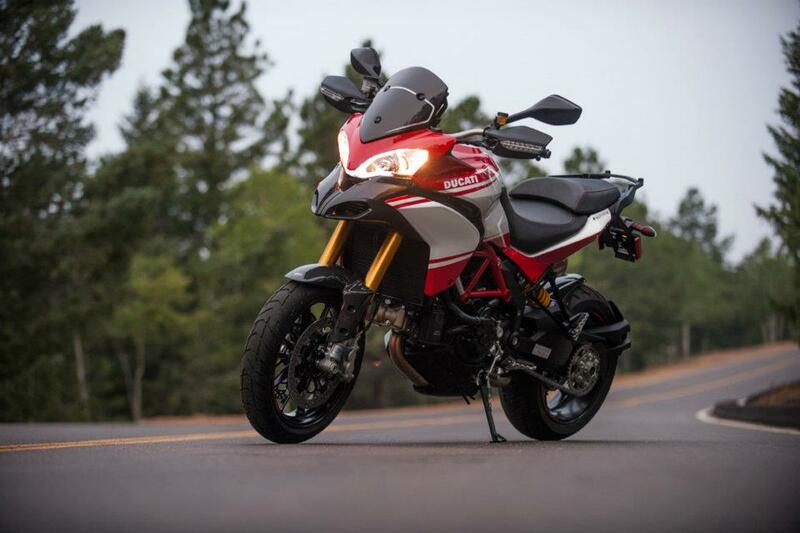 The 90th running of the Pikes Peak International Hill Climb also provided the opportunity to present two models, the 2013 version of the Ducati Multistrada 1200S Pikes Peak Edition and the Audi RS 5. 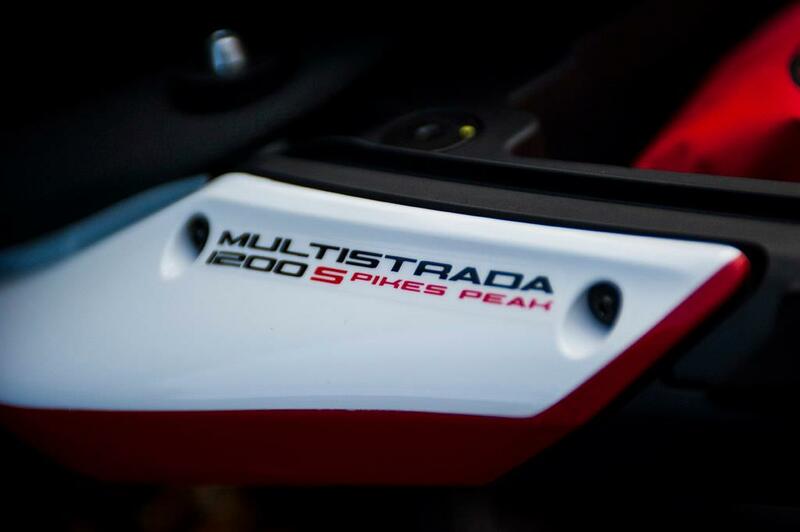 As yet, all we have are photos of the new Pikes Peak Multistrada, so we don’t know if anything has changed except the paint. 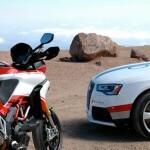 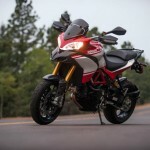 Audi did announce a new Twitter-based contest offering a trip for two to Sonoma, Calif., to test the Audi RS 5 and a Ducati Multistrada 1200S at Infineon Raceway. 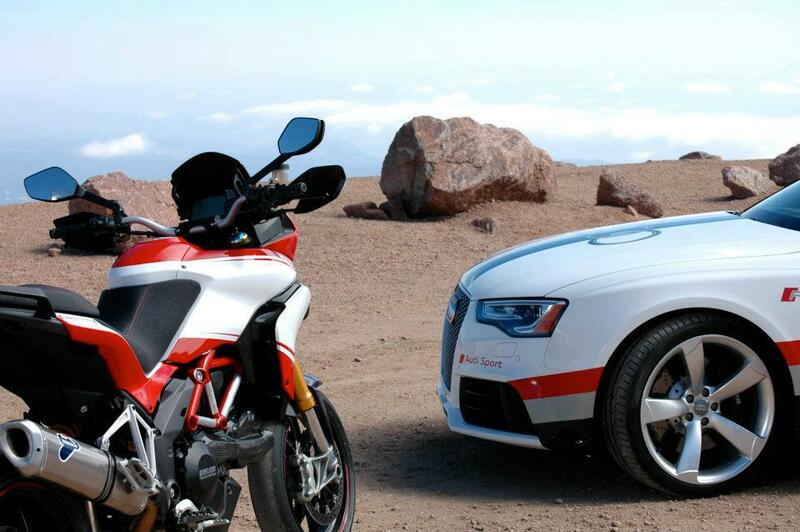 To enter, contestants must use Twitter to explain why they want to take part in the Audi-Ducati track day. 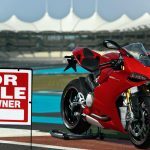 Entries must contain the hashtag #cometogether and may include links to videos and photos for those who need more than 140 characters. 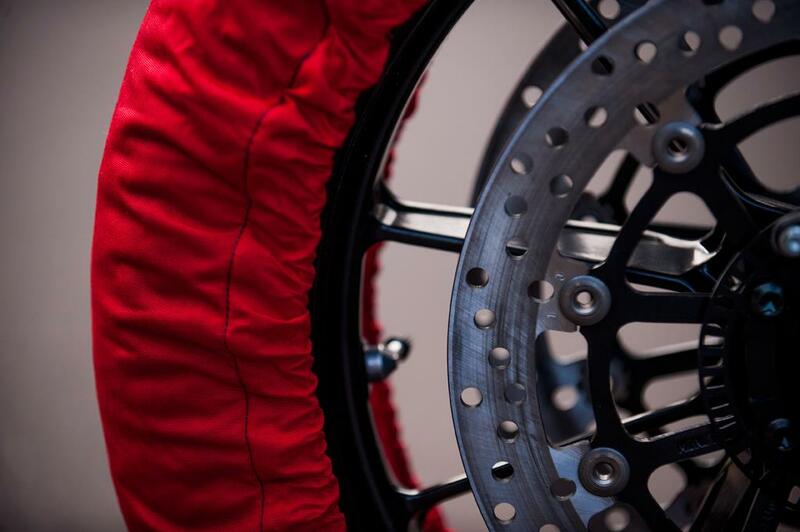 A winner will be selected from the entries based on three criteria: creativity (45%), quality of the conversation developed by the entry (45%) and quality of multimedia in the submission. 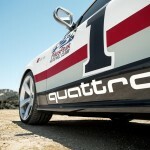 For more information, visit http://www.togetherwetakethehill.com/. 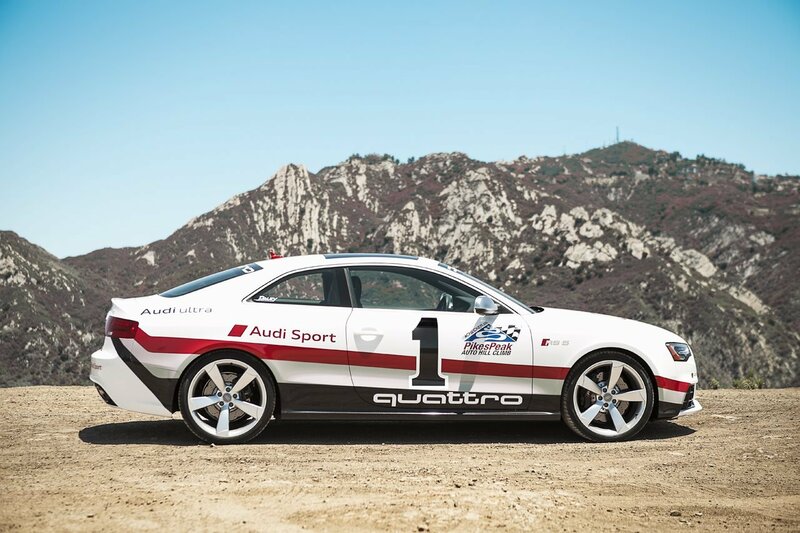 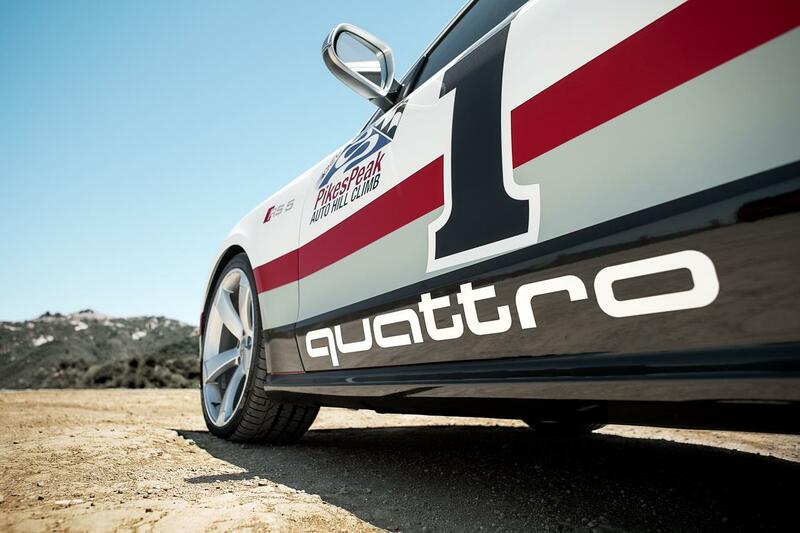 Audi also announced its support for “Battle the Blaze”, a fund to support the local fire, police and emergency workers helped fight the June wildfires that forced the postponement of the Pikes Peak International Hill Climb. 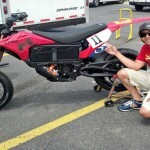 Click here to donate to the “Battle the Blaze” fund.